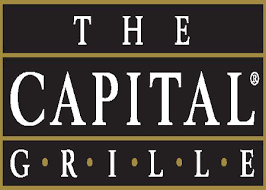 How would you rate your experience with The Capital Grille ? Ned Grace envisioned an upscale steak restaurant that business persons and top politicians would flock to for meetings, dinners, and drinks. He opened his first restaurant in Providence, Rhoad Island, in 1990. Some thought this was a strange time and place since the nation was experiencing a recession and Providence was too far from D.C. for dinner. Grace was correct, however. Within 7 years, the business had more than $4 million in annual sales. By 1996, the company had expanded to 3 locations, with the other two being located in D.C. and Boston. The company was acquired by Darden Restaurant Group in 2007 for $1.19 billion. 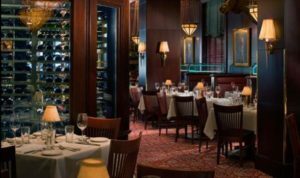 The Capital Grille now operates as a subsidiary of Darden Restaurant Group. The company is best known for its upscale decor which simulates an American country club, along with very large, top quality steaks, seafood dishes, and desserts. The company has been known to overtake the competition by winning numerous awards, including being named one of the top 50 American restaurants in Open Table’s Diners’ Choice Awards, along with winning a number of “Best of Awards of Excellence” from Wine Spectator magazine. The chain also has received top marks on the Consumer Reports Restaurant Satisfactory Survey for the past few years. In 2013, the Capital Grille location in Pittsburgh, Pennsylvania, opened for the first time on Thanksgiving day. Both Capital Grille employees and members of the Resturant Opportunities Center protested having to work on Thanksgiving without receiving holiday pay or any other type of extra compensation. In addition, the Pittsburgh City Council passed a Will of Council, opposing Capital Grille’s decision to force employees to work on Thanksgiving without additional compensation or holiday pay. The Capital Grille has headquarters located in Orlando, Florida. As of the end of 2017, the company has 57 locations in twenty states, as well as the District of Columbia. Question 1: What is the phone number for The Capital Grille? Answer 1: The phone number for The Capital Grille is (407) 245-4000. Question 2: Who is the CEO of The Capital Grille? Answer 2: The CEO of The Capital Grille is Gene Lee. Question 3: Who founded The Capital Grille? 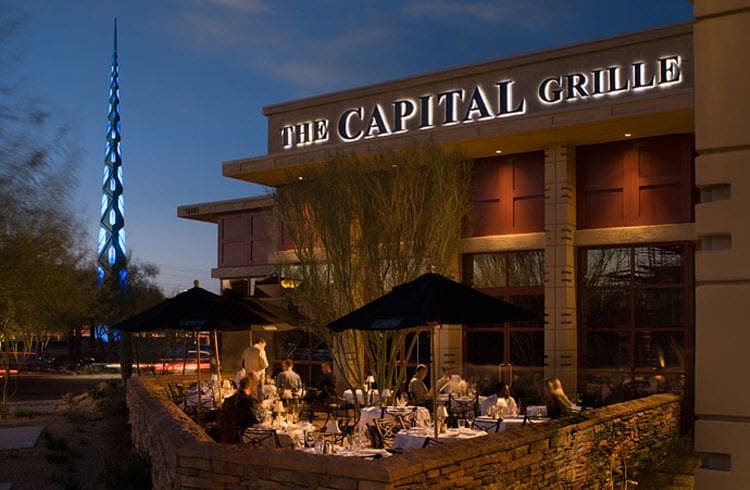 Answer 3: The Capital Grille was founded by Ned Grace in 1990. 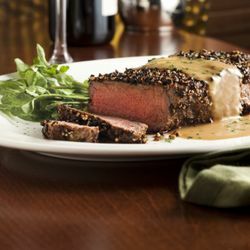 We recently celebrated Valentine’s Day at capital grille ft lauderdale. The entire experience was delightful. Our server whom we requested adds that additional touch of elegance to compliment our meal. Aundrea Bayne. What an asset she is to your organization. We had a very bad experience at Capital Grille Providence RI. Please do not go there. Horrible. I made a reservation in two months advance but we had to wait 20 minutes to be seated. They seated us at the the worst table in the hallway. My food was burned like charcoal. They do not disclose the prices of the food on the menu which may be a violation of laws. They did not itemized our check. My recent Capital Grille visit was a Halloween experience it was HORRIBLE and FRIGHTENING! My husband and I decided to wait and celebrate Sweetie’s Day on Sunday 10/21/18 at The Capital Grille in Troy , MI. when he came back in from out of town. The unpleasant greeter Violeta seated us at a table for two, but the table was in a very busy path so we asked could we sit at the table next to it. Violeta said no that table is for a party of four and walked away. So as we went back to the counter. Voileta was sitting another party of two at the same table she just told us was only for four. We complained to the manager. The manager apologized and then we were seated at a tiny table in the lounge near the door. We were cold all night, we literally had to eat with our coats on and our dinner couldn’t even fit on our table we had to put some of our food and drinks on the window seals. and we were never offered another table. Shame on YOU Capital Grille. Although the manager gave us complimentary wine there was No room on the table for it, we had to keep it on the window seal. The food was a treat! the tiny table a MEAN trick. We were very disappointed, this was a horrible evening. 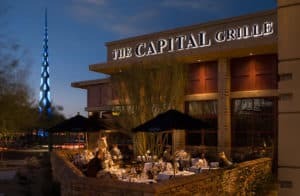 Want to make sure The Capital Grille sees your comment or complaint?